Hi guys! Just a head up that I've created a new group on Facebook to share and/or buy, sell and trade VINTAGE DBZ related toys, figures and collectibles. If vintage DBZ stuff floats your boat, please join! I'll let this duplicate thread exist here, but I'm going to lock it from replies. 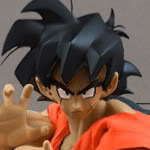 If anybody wants to reply, go to this same thread in the Buy, Sell, Trade section here: dragonballfigures.com/thread/3438/dbz-vintage-collectors-facebook-group That way we can keep everything organized.